Can you believe that there once was a time when a majority of web designers used Photoshop to design everything? While Adobe’s application is powerful, only a fraction of its features does actually make sense for interface design work. So why not take something simpler that’s more geared towards interface design? Something that can better respond to the ever-changing landscape of devices we need to design for today? Sketch offers a wealth of tools and features to make it the perfect application for today’s designers: It lets you design interfaces, websites and icons with ease. To help you get the most out of this mighty tool, The Sketch Handbook will show you every aspect of it. Not in theory, but backed up by practical examples that you can follow along, step-by-step. 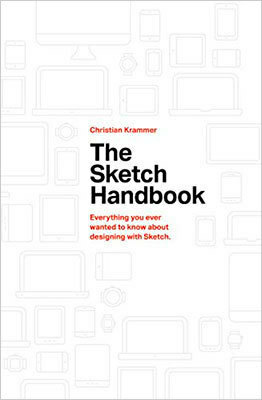 Please note that this book is based on Sketch 41, the latest version of Sketch. The book will guide you through every aspect of Sketch: From smart guides and layer manipulation to responsive baseline grid, nested symbols and group resizing. Whether you are a beginner to design or just started to use graphic apps, this book will teach you the techniques you need to start designing user interfaces in Sketch. What’s in it for you? Well, you’ll get an overview of practical techniques and strategies that will make your design workflow more efficient and future-proof. You’ll learn how to design an advanced multi-screen mobile app, a responsive article and a variety of icons, and dive deep into organizing the artboard and exporting your assets for iOS and Android. Icon and logo design and export are also covered — along with recommended plugins and some obscure but handy tips and tricks. Pretty much everything you wanted to learn about Sketch, in one place.